One of the greatest challenges of eating lean is choosing the right foods — this becomes an even more daunting task when faced with packaged food. Food packaging contains SO much information, it can be hard to decipher what’s lean from the un-lean!! Tons of packaging indicates that the food holds specific nutritional value, but sometimes when you give it a closer look, it’s not as LEAN as things SEEM. Some of the most common packaging buzz words are: Vegan foods, “high protein” foods, and “gluten free” foods. Before we get started, I want to say that I am in NO WAY discriminating against Veganism, high protein foods, or gluten free eating. We have a TON of Squadies who eat Vegan (me and Brodie eat vegan at least once a week all the time). Further, the LEANSQUAD promotes eating lots of lean protein, and we have a number of Squadies who also eat Gluten Free! The LEANSQUAD supports all types of eating habits, preferences, and restrictions, we just need to make sure that we are putting the RIGHT types of fuel in our body and “just because” the package says **insert buzz phrase here** doesn’t mean it’s healthy. Some vegan “meats” are so processed and have extra added salt that they are NOT LEAN! Now don’t get me wrong here, Veganism can be extremely beneficial for your health and has many ethical benefits as well (I actually cook and eat Vegan for about 25% of my meals). If you are vegan or are looking to try some vegan foods, it is important to note that just because it is vegan, it doesn’t mean that it is healthy or lean-approved. There are many unhealthy ingredients such as flour, sugar, bad fats, and preservatives that fall under the vegan category. When eating vegan, it is best to try and stick to whole, unprocessed ingredients such as fruits, vegetables, beans, nuts and seeds. When and if you do decide to purchase packaged vegan food (like Veggie Chips! ), be wary of the ingredients and look out for any non-lean approved products such as processed flours and sugars. For example, buying pre-packaged veggie chips does not mean they are healthy! Most veggie chips are fried and covered in tons of salt which means they are just as bad for you as “real chips”. Finally, a lot of Vegan foods that are high in preservatives are often LOW in most nutrients Vegans need to stay healthy and energized (we want protein, vitamin B 12, minerals, iron, etc.). So keep that in mind when out shopping for a lean meal! “Protein” is something that gets a lot of attention when discussing health and nutrition. NO WONDER why the food and beverage industry uses the buzz phrase “high protein” to engage consumers – can you really blame them? Protein IS super important for our bodies, and it IS especially important for lean muscle health and growth. We all know (or if you don’t please ask) about healthy high protein foods such as lean meats, beans, almonds and eggs just to name a few, but there are many high protein products which are unhealthy for you. This is particularly important when looking at packaged high protein products such as protein bars and supplements. Many of these packaged products do contain high protein, but are also high in processed sugars, saturated fats and packed with preservatives. These are the types of bars and foods we want to stay FAR away from… they are NOT lean approved. Next time you are at the supplement store looking to buy a healthy high protein bar, take a look at the ingredients list and nutrition facts so you don’t get tricked by the “HIGH PROTEIN” marketing scheme. 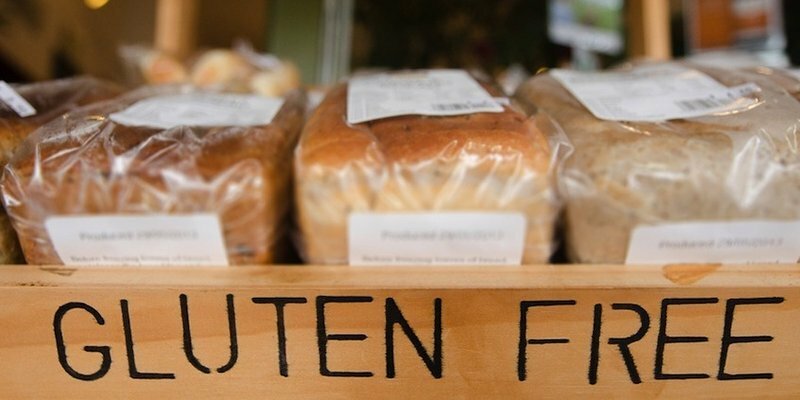 If you have a Gluten intolerance or are a celiac, you know exactly what gluten is. For those of you who are not, “Gluten is a general name for the proteins found in wheat and helps foods maintain their shape. The gluten acts as the “glue” that holds food together. While there are some foods where it is obvious gluten is present (bread), gluten can be found in many other types of foods that you would not be expect. Although gluten can be tough on our digestive systems, especially to those with an intolerance, just because a product does not contain gluten, DOES NOT mean that it is LEAN. In fact, there are many healthy foods which do contain gluten, such as unprocessed rye or grain breads and oats. When looking to purchase gluten-free foods, (similar to vegan and high protein foods) whole products are definitely the best choice. Keep in mind that just because a food item (bread, pasta, baked goods) says “gluten free”, does not mean they are low cal, healthy, or lean. In fact, in some cases, restaurants or food manufacturers will put MORE sugar in gluten free dishes/items to enhance flavour which can be even worse for your body. So, when buying packaged gluten free foods, BE MINDFUL of the ingredients and know what you are putting in your body! There you have it guys! Some LEAN tips to help you make LEANER choices the next time you are looking to buy vegan, high protein or gluten-free foods!